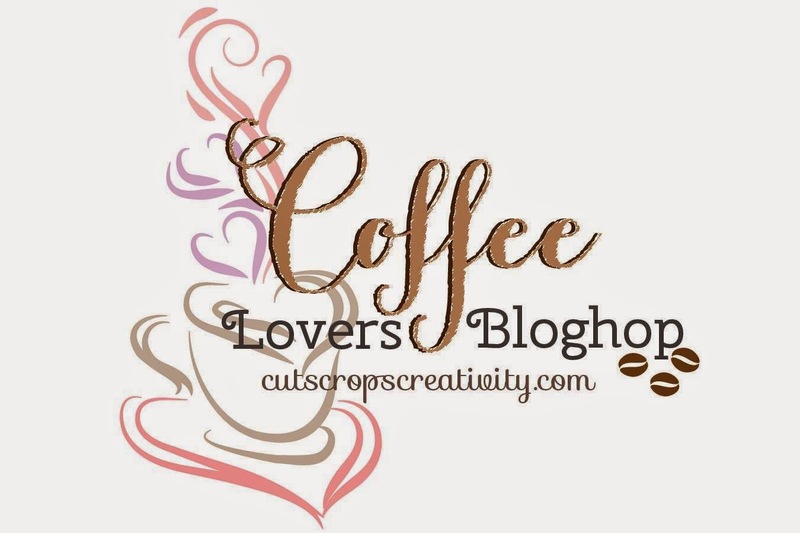 For those of you who comment on one of my coffee posts today, I will randomly choose a winner to receive some crafty coffee goodies..... Answer one of these questions if you would like. Here is some coffee trivia about me !! 1. When did you start drinking coffee? I started about 30 years ago, as a new RN !! 4. If I don't drink my needed coffee, I will... get a Killer headache !! Thanks for stopping by, Angel !! LOVED that sentiment too !! I "heart" coffee too! I agree with Angel that the heart on the stirrer makes this card. I remember my grandpa telling everyone that he made me my first cup of coffee when I was about two and a half. I loved to help him in his dairy and when we were finished I'd crawl up on a tall stool and have a cuppa with my poppa. I've been hooked ever since. Gotta have it! What a sweet story.. Thank you so much for sharing it with me !! Now Debra, how many cups of coffee were consumed to get that coffee stirrer? LOL Love your card, girl! Probably close to a zillion, Jennifer !! Thanks, i really LOVE the glitter on this card ..Glad you like it !! Thanks so much, Virginia !!! That little stick has been a BIG favorite so far... I love using them !! Ok, this card is pretty brilliant, might I say? I'm super duper impressed! I loves me some Seattles Best #4 with my french press. Sometimes, I'll get a lil risky and pick up #5. Hehe. This is fabulous!! LOVELY design! Your card is adorable and I really love that sentiment!! Lol! Debra, your card is super duper fun! Fun card...love the stir stick!!! Adorable card using Prima's Coffee Break Collection. That little heart and sentiment are so cute. OMG this card is so cute and I love the sentiment!! This card cracks me up! The addition of the wooden stick is AWESOME! So many really pretty elements on your card. Sorry it has taken me so long to comment. I'm trying to go one by one hoping not to miss out on all of the fun cards. What really caught my eye was your cute little coffee stirrer with the little heart. That is such a fun element. The blue glitter and the polka dots is a fabulous backdrop for you coffee cup. Great job Debra!! What a great card! Love the heart on the stirrer, so sweet. I'm a big coffee drinker, the stronger the better. I like to say I like my coffee strong enough to put hair on your chest - 😄! I've been drinking coffee since I was about 3 or 4 years old. Let me clarify. My grandmother used to have her coffee in the morning and I would bother her for coffee. So she would warm up a cup of milk, put a drop of coffee and some sugar in it and I felt like a big girl with my "coffee". Love reading about you and your card is absolutely fabulous! the glittery panel behind the fabulous journal card is wonderful and so is your awesome coffee cup, the coffee sleeve is perfect! Deb, you are just thee sweetest! I truly love the coffee goodies you sent and the awesome card that you made. Ha ha ha...Such a funny sentiment. Love the little sparkly heart stirrer too!! !